CruinndracFarms Forums • View topic - Wyrmy Shelves! 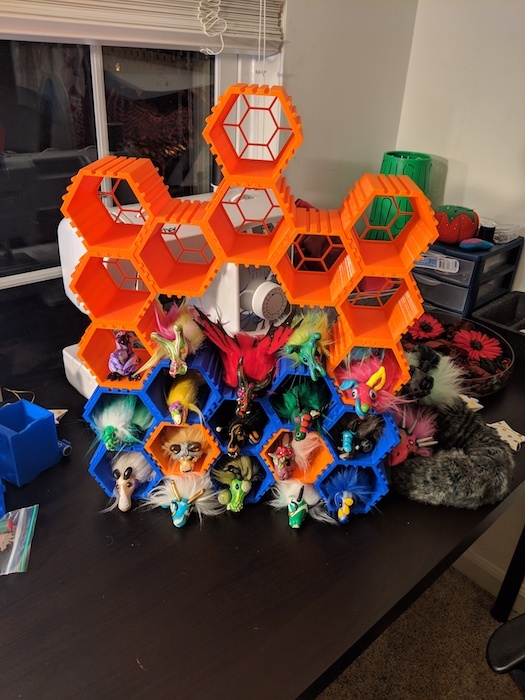 Im posting in here for my husband, who is looking to sell these little 3D printed shelves that make great wyrm homes. 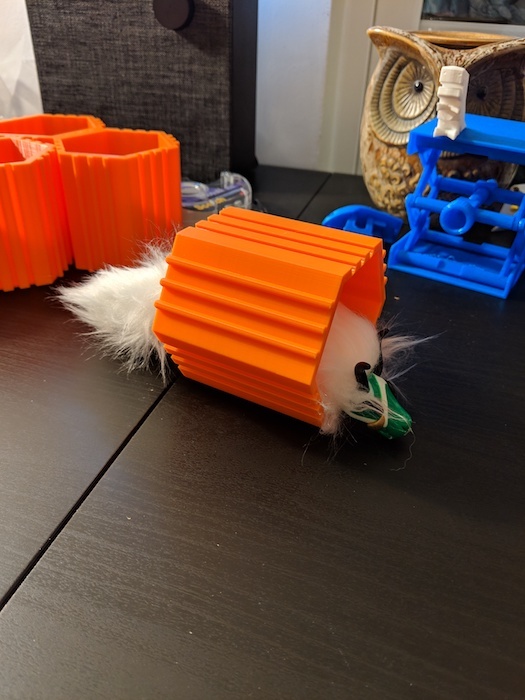 He is looking to make them to order, they take approximately 14 hrs to print, with some time for us to get them ready to ship. The shelves interlock together and can be arranged in different ways. There is also a wall mounting bracket that he can print for you as well. The shelves aren't quite as long as a wyrm, wyrms bodies can fit through the back, or they can fit folded in half. Because he did not create this model, he is not making a profit off of this. He's only charging for supplies, time, and shipping. Currently we have 2 colors, blue and orange. The orange is uv reactive. 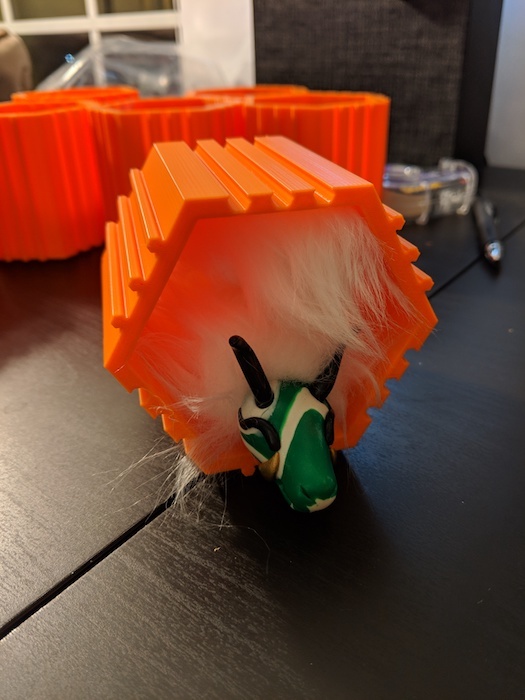 We do order filament frequently, so feel free to request colors and we'll let you know if its do-able. If you want to place a big order, let me know and we can work out a price.